Your POS system can be a great tool for your employees and yourself if you know how to use it correctly. On many occasions, you may feel that you have no idea what is going on with your POS systems, but to get the most out of your system, we strongly recommend that you train your employees accordingly. By training your employees on the POS system, you’ll be able to get the most out of the item and be able to use it accordingly. In today’s blog, we’re going to cover some tips as to why it’s important to train your employees on the POS system. When you take the time to train your employees, you’ll be able to get the most out your POS system, which can be a great tool when you know how to use it. If you’d like to purchase a POS system, then contact us today to learn more about our merchant services. When it comes to your POS system, it can be a major change. You have to learn how to cash customers out, do inventory, and so many other little facets on the system. While it can be overwhelming at first, it’s a tool that you’ll quickly learn and not be able to live without. 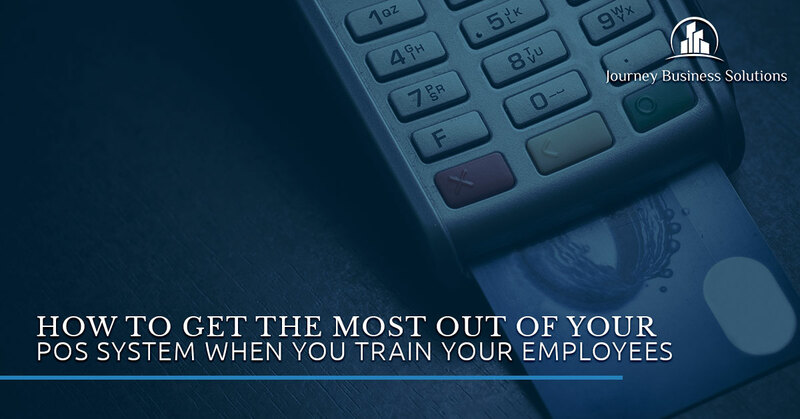 However, to get the most out of your POS system, we recommend that you train your employees to the best of your abilities to ensure that nothing falls through the cracks. These tips will help you further understand how to get the most out of your POS system by training your employees properly. Our first tip is to learn by experience. Let your employees train and learn the system by experiencing it themselves. By experiencing the system themselves, your employees should theoretically become much more comfortable on the POS system. While POS system training is a must, you should also consider letting your employees figure the device out themselves. By doing hands-on training, your employees will gain the knowledge they need to be able to use the POS system. What’s great about letting your employees figure it out themselves is that they may even discover something new to make the job easier. Another great method for making it easier to and more efficient to use the POS system is teaching troubleshooting techniques. While technology is a great way to make your life a little easier, it can also be a nuisance. For this reason, it is imperative that you teach troubleshooting techniques to your employees. By knowing what to do if the system goes down or there’s a system malfunction, your employees will know what to do to handle this issue. Troubleshooting techniques include knowing what to do if the system crashes, how to void the payments, and restarting the POS system if it decides to freeze while you’re using it. A third tip is to create a training strategy for your new hires. By forming a training strategy, you’ll know what aspects you’d like to ensure that your employees know. POS systems have a lot of information, but narrowing down what you want your employees to learn will make it easier on them as well as you. We suggest covering the important topics such as basic information, various issues that might arise, directory, and costs. A training strategy will create a better understanding for your employees and help them understand how loyalty programs work, where to find specific menus and products, and how to turn the equipment off or on. Our fourth tip is to remind your employees that they’ll always be learning something new with their POS system. The POS system can get confusing, which is why it’s a beneficial decision to pair your employee with another experienced colleague once they get the hang of it. By offering your employees the chance to lean on each other when they have a question about the POS system, it’ll help lower any chances of mistakes and it’ll build camaraderie. As your new hire becomes more knowledgeable about the POS system, we suggest that you monitor your staff and provide continuous educations when there’s a new update or another factor that would require additional training. Lastly, we suggest that you do a modular training. A modular training will help everyone on your team understand how to use the POS system because it allows you to be flexible in your training. You can decide to do long training sessions or shorter ones to make it easier to train your employees and now as mundane and tedious. A modular training will cut down on training time and lower the cost of it. It’s a helpful way to train because it allows your employees to work and train. We hope these tips can help you learn how to train your employees on a POS system to ensure that it’s used to maximum capacity. For any questions you may have about the POS systems, feel free to contact us.